Are you tired of dealing with a chimney leak on your Tacoma or Seattle home? Chimney leaks are unfortunately something that we see all too often here in the Pacific Northwest. 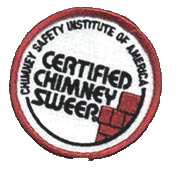 At The Chimney Specialists, we have been specializing in water intrusion and leak diagnosis for over 35 years. We have the knowledge and experience to provide an extensive leak inspection report, as well as a thorough estimate for repairs. Our leak inspection service includes a full interior and exterior inspection of the masonry chimney. The leak you may be experiencing is more likely than not caused by a combination of issues. You will receive the written evaluation report as well as the causes and estimate for necessary repairs at time of service. Both wood stove and fire place were thoroughly cleaned and inspected. The stainless steel rain guard was installed; the flue for my propane fire place was caulked (as it was never done). I haven't heard the loud dripping noise since then and don't have to worry about water damage. He went through everything with me and put my mind at ease about using our stove and fireplace. They work fast but take the time to answer any questions or concerns. No mess left when they are done, just clean flues and peace of mind. Most brick is permeable and will absorb water and moisture if not properly weatherized. Chimneys that are not weatherized or appropriately protected for our unpredictable Seattle weather are at risk for freeze-thaw. The freeze and thaw we experience here can cause the moisture to permeate throughout the chimney causing damage to the interior as well as the exterior. Over time, freeze thaw will ultimately lead to tuck pointing, if not partial or full chimney rebuild. We use superior and breathable water repellant to lock out moisture, while allowing any vapors to exit. Chimneys that are properly weatherized will not harbor moss and are less likely to get discolored over time.